With the potentials of a thetan fully established came a look outward resulting in L. Ron Hubbard’s monumental discovery of a universal solvent and the basic laws of the theta universe—laws quite literally senior to anything: The Factors: Summation of the Considerations and Examinations of the Human Spirit and Material Universe. 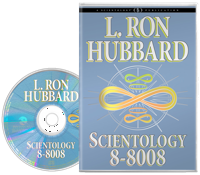 So dramatic were these breakthroughs, he expanded the book Scientology 8-8008, both clarifying previous discoveries and adding chapter after chapter which, studied with these lectures, provide a postgraduate level to the Doctorate Course. Here then are lectures containing the knowledge of universal truth unlocking the riddle of creation itself. It was the spring of 1953 and having returned to London from Philadelphia, Mr. Hubbard was soon extending special invitations announcing a new Professional Course. It was an astonishing announcement for more than a few reasons. 1952 had already seen an unrelenting wave of breakthroughs and new technology. 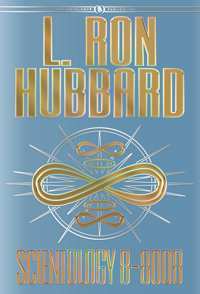 Beginning with the first course on Scientology, it had already advanced to the whole track, electronics of human thought and the very anatomy of theta and Operating Thetan. 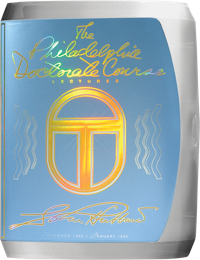 In point of fact—and&nbsp; if only to emphasize the new plateau that had been reached—was L. Ron Hubbard’s legendary Philadelphia Doctorate Course of December/January 1952/1953. Yet if that course did, indeed, embrace the vast scope of the very essence of life itself, it also opened the gate to something even greater: The Factors: Summation of the Considerations and Examinations of the Human Spirit and Material Universe. Here was far more than merely the “next level of advance.” he had brought the entire subject to such a level of precision and cohesion that his 30 statement summation was no less than monumental, providing the very laws of the theta universe which are, quite literally, Universal Truth. Moreover, that truth could not only be known, it could be experienced. While as for the power of that universal solvent, Mr. Hubbard further describes how, with admiration alone, one could make MEST disappear and, theoretically, even make the universe go boom—to say nothing of one’s own case. And that is why the lectures he was about to deliver were something virtually nobody could have expected: a postgraduate to the very Doctorate Course, the course of YOU. 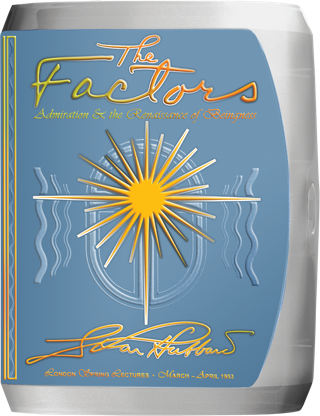 Then, too, came the expansion of Scientology 8-8008, not only amplifying what the book already contained, but providing no less than eight new chapters—The Factors, Universes, Behavior of Universes, Terminals, Logic, Assist Processing, Communication and new technology of Certainty Processing. Welcome, then, to the revelations unveiled by L. Ron Hubbard on the London Spring Professional Course.